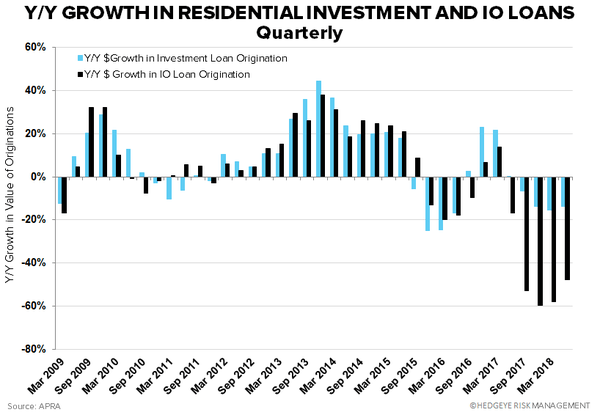 Takeaway: Interest-only loans to households fell -48% Y/Y in 2Q18, continuing the streak of declining originations among ADIs in the last 5 quarters. Editor's Note: Below is an excerpt from a broader research note written by Financials analysts Josh Steiner and Drago Malesevic. For access to their upcoming Australian housing thesis call, email sales@hedgeye.com. 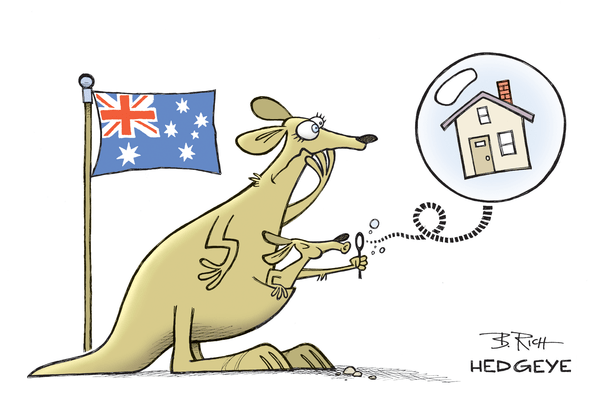 We will be hosting an update call, restating and refreshing our Australian housing thesis, in early October. An invite, with full call details, will follow in the coming days. Today we are releasing the September 2018 edition of our Hedgeye Australia Monthly research product. Our goal is to help investors understand trends and identify inflection points in the Australian housing market. By tracking 15 different housing data series across Australia and 8 different series at the state level in New South Wales (Sydney), Victoria (Melbourne), Western Australia (Perth) and Queensland (Brisbane/Gold Coast), we are able to offer distilled housing market insights in a simple and efficient format. Our plan is to update this tracker monthly. 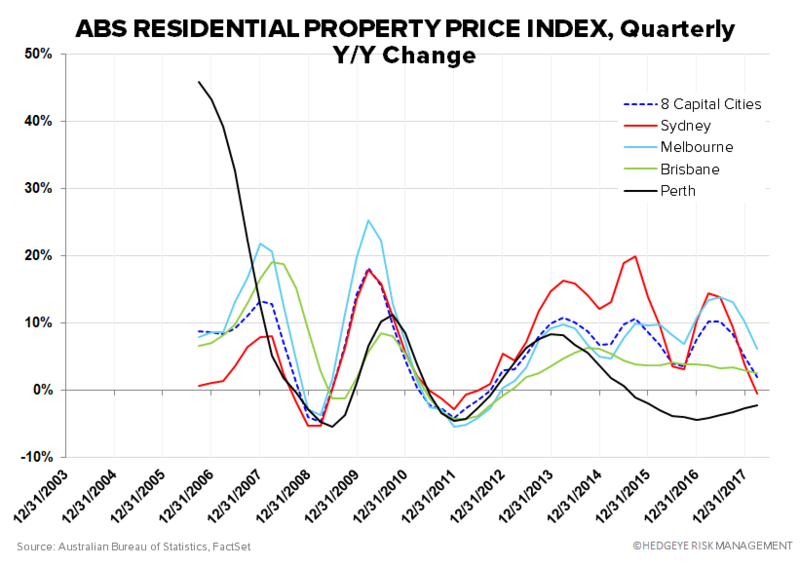 RPPI: Home prices continued to decelerate nationwide according to the 1Q18 pricing data released by the ABS. 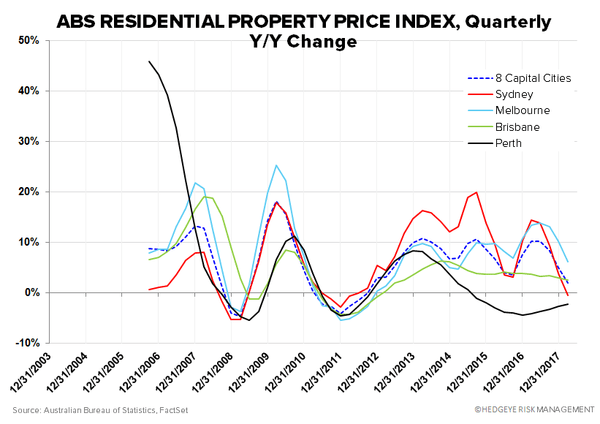 In particular, persisting deceleration was present across the Sydney, Melbourne, and Brisbane markets. 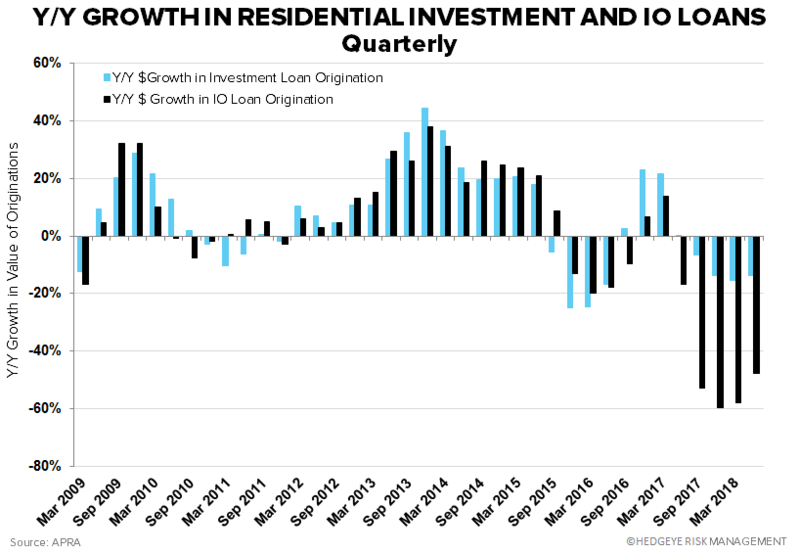 Originations: Residential investment loans originated by authorized deposit-taking institutions with total loan books exceeding $1B were reported -13.8% lower Y/Y. Meanwhile, interest-only loans to households fell -47.8% Y/Y in 2Q18, continuing the streak of declining originations among ADIs over the last 5 quarters. Cartoon of the Day: Remember 2008?